A gorgeous starter dish, crispy golden potato nests are topped with a creamy and savory smoked salmon salad in this creative recipe. Your guests will absolutely love the contrast of textures between the smooth VOSKOS® Greek Yogurt in the topping and the crispy potato base. Meanwhile, pulse smoked salmon and lemon peel in a food processor, scraping down bowl. 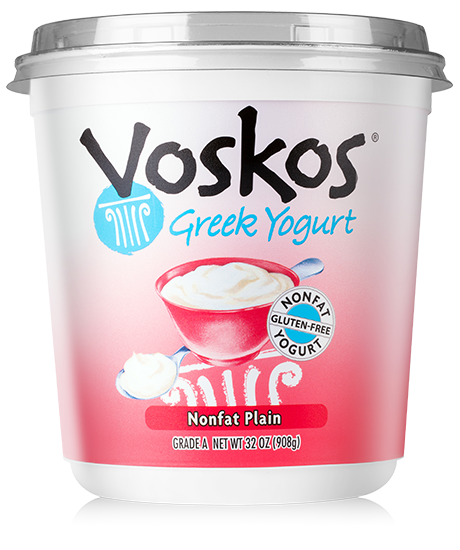 Add VOSKOS® Plain Greek Yogurt, green onions and process until combined. Refrigerate, covered, until ready to serve. Preheat oven to 375°F. Place potato nests on a clean, large baking sheet and bake until heated through and crisp, 6 to 8 minutes. 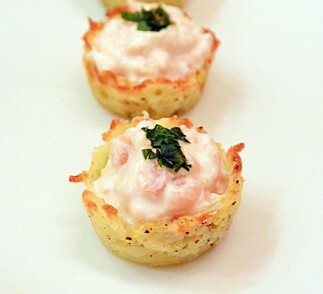 Transfer potato nests to a platter. Using a small spoon, dollop about 1 teaspoon yogurt mixture into each potato nest. Serve immediately.